With most people constantly carrying a mobile device and providers offering unlimited data plans, we’re used to always having the internet in our pockets. However, those data plans typically don’t apply when you’re abroad. To avoid ridiculous data fees, you’re left wandering the streets searching for wifi, ideally free. Alternatively, you might be in a situation where you need a cybercafé to hop on a desktop with an internet connection. Thankfully, wifi hotspots are in abundance in most popular (and not so popular) tourist spots. And, while cybercafés are not as commonplace as they once were, you usually won’t have to go too far to find one. However, if you want to be diligent about safety and security, it’s not a simple case of darting into the first place you see and connecting. There are plenty of people out there ready to hack into public wifi networks or scam unsuspecting cybercafé users. As such, there are lots of factors you need to bear in mind to ensure that you don’t become a victim. 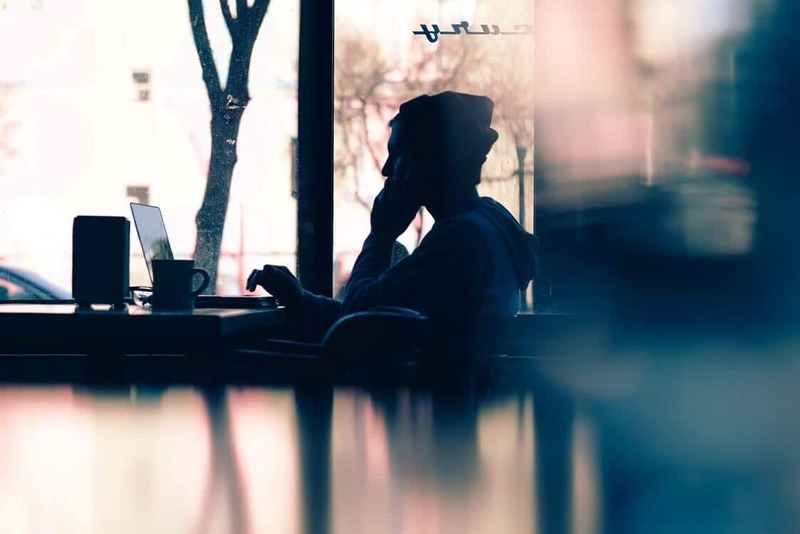 In this post, we’ll offer up tips on finding a secure wifi connection or cybercafé no matter where you are in the world. We’ll also let you know the steps you can take to avoid being hit by a malicious attack or scam. While wifi is extremely prevalent in some places, it’s not quite as widespread in others. Plus, you have other factors to consider, such as whether it’s really free (you may need to make a purchase to use it) and whether it’s secure. Here are some tips for finding a connection wherever you are. First and foremost, we advise planning ahead. If you’re going to be staying in one spot for a while and know you’ll want easy access to wifi, it’s worth doing some research ahead of time. This way, you won’t have to waste time when you get there. Of course, this isn’t always possible. So if you find yourself wondering where to start, think about the go-to places where you most often find wifi at home. If you’re in a city for example, many Starbucks, McDonalds, and other popular chain locations will have free wifi available for their customers. Of course, if you’re talking cafes and restaurants, you may need to be a paying customer and therefore have to purchase something in order to use the wifi. This isn’t a good option for many, especially given the price of a Starbucks beverage! Other places such as airports might offer free wifi, but only for a limited period. There are actually a couple of ways around this, the most simple being MAC address spoofing. Other places that often offer completely free wifi are airports, train stations, bus terminals, and shopping malls. Less obvious but typically reliable places are hotel lobbies, information centres, and some standalone stores. Not every place with public wifi will be advertising it. Even if there’s no sign on the window, it could be worth trying your luck. There are tons of apps available to help you find free wifi all over the world. The problem is many of these apps require you to have an internet connection to use them. This means either using data or using one wifi connection to find another. Thankfully, there are also some apps available that don’t require an internet connection to work. These include WiFi Finder + Map and Wiffinity for iOS and WiFi Finder for Android, all of which work offline. As with many other things when you’re traveling, sometimes it’s best just to ask. Locals or other travelers will likely have tips on where you can find wifi nearby. You may even find some locals, such as store owners, will give you the password to their wifi if it’s just for a short time. However, this should be a last resort, as you could easily fall into the trap of scammers recommending their not-so-secure connections or computers. With most people now having a mobile device on them at all times, cybercafés are becoming less useful and hence less prevalent. However, there are some instances where you might really need one. For example, you may need to complete some work, but would rather use a desktop than a mobile device. Alternatively, your device might have been lost or stolen, or have zero battery life. In these cases, a computer and internet connection at a cybercafé will come in really handy. When it comes to cybercafés, since you’re using someone else’s computer, your choice of location becomes even more important. You no longer have the security factors that you might have built into your personal devices. Therefore, finding a reputable café is of utmost importance. A good place to start is word of mouth from other tourists and travelers. It might not be best to trust locals as you just never know who is in on an elaborate scam. Before traveling, check travel websites, such as Trip Advisor for cafes in close proximity to where you’ll be staying. If you’re planning far enough in advance, you could also try asking the question in travel forums, as some places might not be listed. If you’re taking a trusty old guidebook with you (yes, some of us still use these), then make sure it’s up-to-date. These types of businesses might not last too long or could go downhill quickly with a change of hands. Also, cybercafés aren’t the only places you’ll find computers for public use. Libraries, airports, hotels, and other public places often have workstations for free or paid use. While these can be convenient, no matter where they are, usage may pose a risk to your privacy and security. Therefore it’s always best to take precautionary measures as outlined below. As mentioned, connecting to various wifi hotspots can spell trouble when it comes to privacy and security. While it’s tempting to just jump on the free wifi and go about your regular online activities, this really isn’t a good idea. Unfortunately, there are plenty of people with malicious intent who have the ability to hack connections and view your details. Cybercafes definitely aren’t exempt from scammers either. There are plenty of ways innocent users can be targeted if they’re not careful. Here’s what you can do to make sure you don’t fall victim. There are several common scams that are used to target those connected to public wifi and others more specific to cybercafés. Simply being aware of what could happen can help to save you a lot of headaches while travelling. When it comes to wifi, the most common attacks include Man-in-the-Middle (MTM) attacks, DNS spoofing, and phishing. Make sure you’re aware of what these involve and how to prevent them happening to you. In internet cafes, one of the most rudimentary scams is having a security camera pointed at keyboards for scammers to view username and password entries. More sophisticated scams involve installing keyloggers or other spyware. Even if you don’t think you’ll need a cybercafé when traveling, you never know. It’s always worth educating yourself just in case. Wherever you happen to find a public network to connect to, try to make sure it’s secure. This can usually be determined by whether or not you have to provide login details. It might ask you to connect through social media, your email address, or some other personal information. On the one hand, you probably won’t feel great about giving up some privacy just to connect to wifi for ten minutes. However, it’s worth it for the peace of mind. Hackers are more likely to access unsecure networks as they don’t want to give up personal details themselves. Also, if they’re baiting you into their own network, they likely wouldn’t bother with the hassle of login details. If there are multiple networks available and it’s unclear which one to choose, you should ask a staff member for help. Hackers could set up open connections with misleading names in order to trick users into connecting. It’s a no-brainer to some people, but a hefty portion of public wifi users still use it for sensitive activities. These include things like online banking or purchase transactions. Basically, any instance where you need to provide details like banking information, credit card numbers, or your social security number should be avoided while connected to public wifi or using a cybercafé computer. Of course, if you’re travelling for an extended period, there may be times when you simply must carry out these activities, for example to pay a bill or book a hotel. In these cases, it’s best to hop off the wifi connection and use your data for few minutes. In relation to this, try to stick to secure websites. Ideally they should be HTTPS sites which means they hold a Secure Sockets Layer (SSL) certificate. This is a must if you do have to enter any login credentials or payment details over a public wifi connection. If the site doesn’t have valid HTTPS, try to discern if they are indeed legit through other factors, such as having a sitemap, an about page, and contact information. However, in this case, avoid entering any information, even if you think it seems safe. Whether you’re in a cybercafé or using wifi, always log out of every site you’ve signed into before disconnecting. If you’re using a cybercafé computer, clear all cookies and browsing history as an extra precaution. For wifi, your device default settings might cause it to connect automatically next time you’re in signal proximity. Try to adjust these settings so that any subsequent connections require your permission. As smart as many of our devices are, they can be a nuisance at times. Many default settings are in place to help make sharing easy, but end up creating risks when it comes to security. Look closely at the sharing settings on your particular device and turn off any that could expose you data. If you’re in a cybercafé, it’s worth checking these types of settings at the beginning of your session. On the topic of settings, it’s also a good idea to turn off wifi completely when it’s not in use. This way, you won’t unknowingly be exposed to a connection that you just happen to be in the vicinity of. Even if you don’t actually connect, hackers could have ample opportunity to take a look around. We always recommend using a Virtual Private Network (VPN), especially while traveling, and wifi protection is one of the major reasons. A VPN encrypts the traffic going to and from your device so that no one can monitor your activity. VPN usage is especially crucial if you’re unable to find a secure connection. Ideally, you should set up your VPN before you travel. Some countries, such as China, block VPN provider websites so it can be more difficult to get set up when you’ve already reached your destination. Many VPNs have different wifi settings options, so make sure you’re familiar with them before you go. For example, you might be able to set it up so that it automatically protects you when you connect to wifi. Also, find out how to check that you’re protected. iOS devices will usually have a VPN symbol at the top of the screen, while for others you may have to access the client itself in order to check. Since many VPNs are quick and simple to install, you could also use one with a device that isn’t your own. You would install the app before starting your session and uninstall it once you’re done. The problem here is that you have to log into your VPN account on that computer in order for it run. So if there are any cameras or spyware, the whole process may be counterproductive. Make sure your VPN password is unique and change it when you’re done. There’s no doubt it can be a great feeling when you discover free wifi while out and about, or find a cybercafé when you’re in a pinch. However, it’s important to find the right connections and locations to ensure that your data remains as secure as possible. It’s also imperative to take extra precautions to avoid and thwart malicious attempts to access your data. Using the tips provided in this post, you can be far more certain of a happy and secure travel experience. Do you have any other tips for connecting securely while abroad? Let us know in the comments section below!